A potent human drama set amidst the Parisian jazz scene, Paris Blues explores themes of ambition, personal comfort, and unexpected love interfering with programmed journeys. Ram Bowen (Paul Newman) and Eddie Cook (Sidney Poitier) are American jazz musicians plying their trade at a Paris nightclub. A middling trombone performer, Ram has ambitions to be taken seriously as a music writer, while sax player Eddie finds Europe more accommodating towards blacks than his native United States. The Parisian jazz scene is abuzz with the arrival of the legendary Wild Man Moore (Louis Armstrong) and his band for a series of performances. Americans Lillian (Joanne Woodward), who is white, and Connie (Diahann Carroll), who is black, are good friends and arrive in Paris for a dream vacation. They meet Ram and Eddie at the train station, where Ram is trying to show Wild Man a sample of his music writing. Initially Ram is more interested in Connie, but eventually he starts a torrid romance with Lillian, while Eddie and Connie also start an affair. Both relationship evolve quickly, and difficult decisions about long term commitments will be needed before vacation time is over. 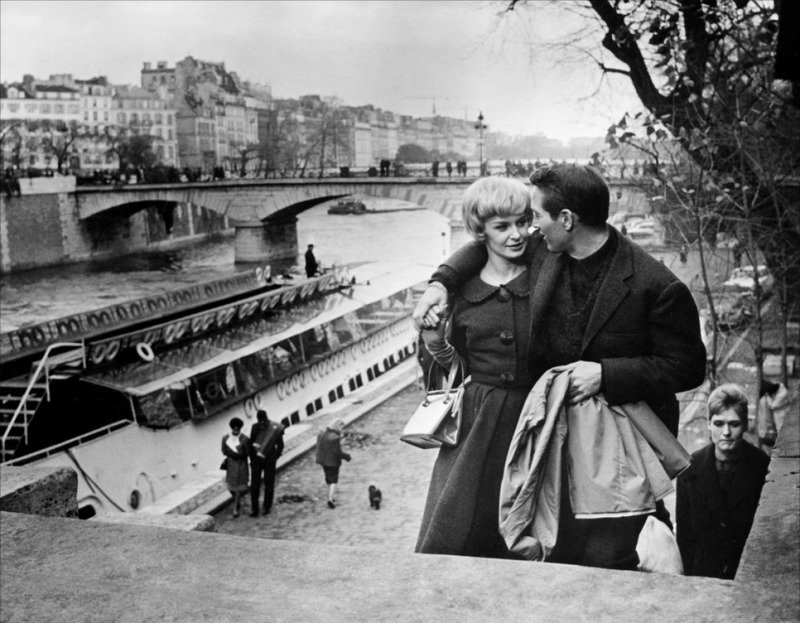 A deceptively simple story directed by Martin Ritt, Paris Blues is all about a sense of pervasive melancholia, and the sparkles of uncertain hope that attempt to invade the general gloominess. The film luxuriates in a black and white aesthetic, with most of the scenes at night and many of the club sequences enlivened by jazz music puncturing through the thick haze of cigarette smoke. Ritt creates a film where the mood speaks more loudly than the dialogue, and where his central characters are more comfortable in the shadows and uncertainty created by living life after hours. Ram and Eddie are rounded into characters driven by self-defined objectives. Ram will not easily give up on his dream to succeed as a music writer, and one ray of hope in his life is a forthcoming assessment of his work by a recognized jazz expert. Eddie has decided that Europe is eons ahead of the United States in its accommodation of blacks, and that the struggle for civil rights in his homeland is both messy and for others to carry. Lillian and Connie will both try to challenge and change their men, and Paris Blues, despite a compact 98 minutes of running time, refreshingly evolves beyond a trite romance and into a complex drama with the love affairs delving into thorny human and societal issues. Lillian offers Ram an opportunity to settle down, if he gives up his personal quest and instead wins the girl of his dreams. Connie confronts Eddie's attitude, relabelling his European exile as a defeatist stance, a talented man turning his back on the seminal struggle of his people. The film does not pretend to resolve every issue it raises, and indeed the individual decision points becomes the narrative struggle to land a bittersweet ending, filled with the vagaries of complex lives. The terrific jazz music creates the perfect score. The highlight appropriately enough arrives with Wild Man Moore invading Ram's nightclub for a free-for-all jazz session, the joyous, thrilling music shared with the crowd always a distraction from the pivotal individual passions. 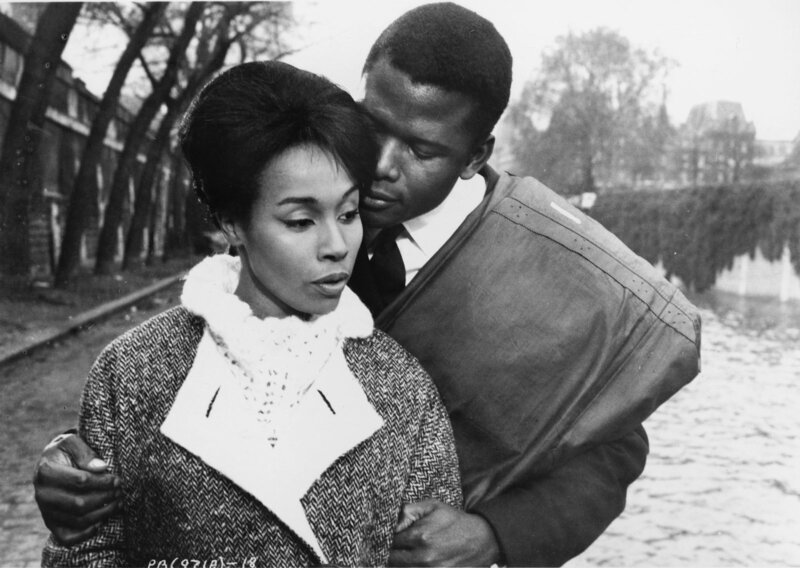 Paul Newman and Sidney Poitier are both good without needing to stretch, while Joanne Woodward and Diahann Carroll have to evolve a bit quicker than normal, to cram their characters' development and interactions into a short vacation. The title is Paris Blues, the music is jazz, and the film is filled with soul.